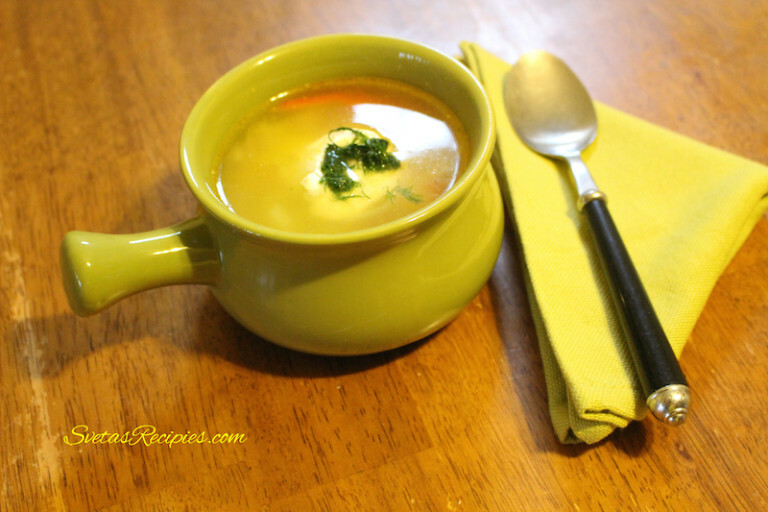 This cabbage salad soup is very quick to make if you already have the salad (Cabbage Salad). It holds lots of vitamins and very tasty, it comes from Ukraine and is one of the best salads there. Ingredients: 1.) Wash and dry potatoes, Peel them. 2.) Chop potatoes, add to pot with water. 3.) 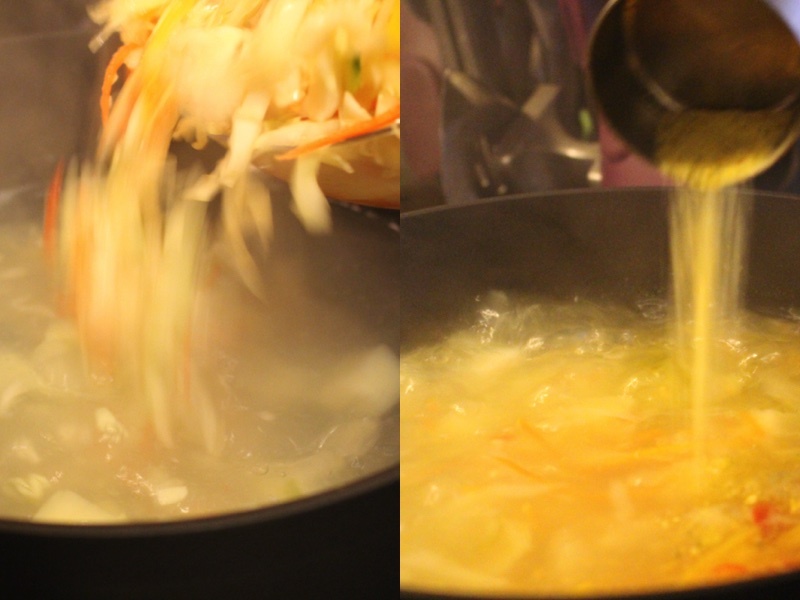 Add salt to the water and potatoes, cook for 20 min until the potatoes are tender. 4.) 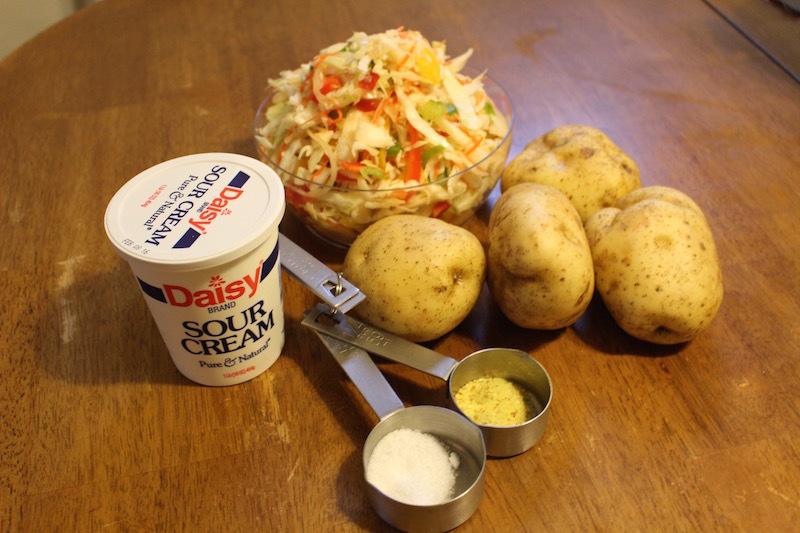 Add salad and vegetables, cook for 20 more min, Place in serving dish add sour cream and SERVE! Wash and dry potatoes, Peel them. 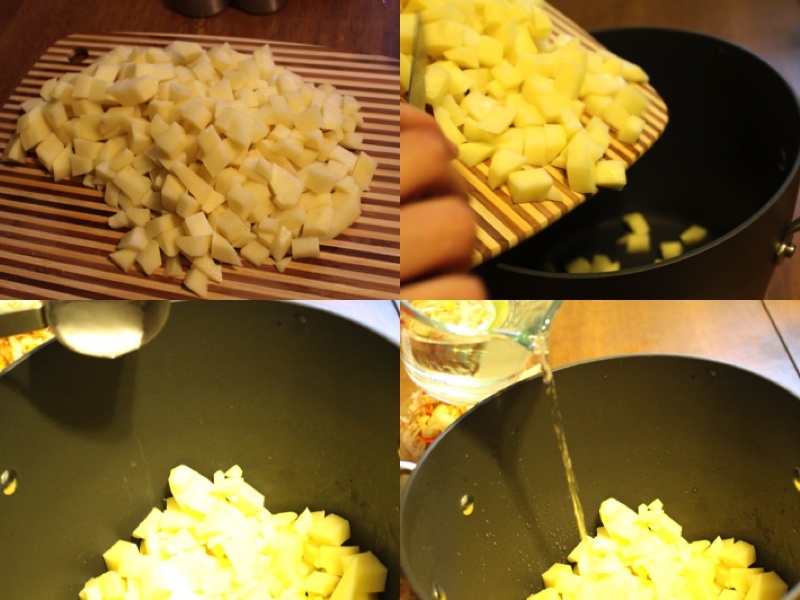 Chop potatoes, add to pot with water. Add salt to the water and potatoes, cook for 20 min until the potatoes are tender. Add salad and vegetal, cook for 20 more min, Place in serving dish.